I enjoyed their story. But even before I heard it, I liked what I saw. I had hiked up to 7,000 feet on Mt Rainier’s southern slope — slightly higher than Panorama Point and just below the Muir Snowfield. 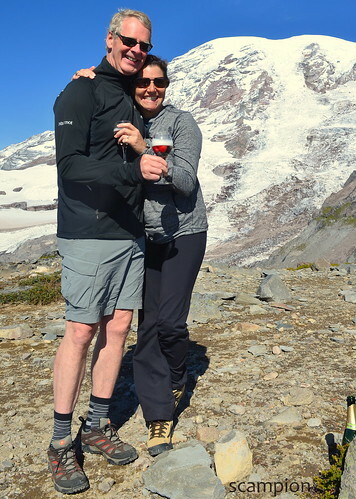 There, above the treeline and far removed from the comforts of a restaurant table, two people were sharing a bottle of champagne. They had even trekked up the mountain with glasses and berries. What were they celebrating? I’ll answer that in a moment. They told me that long, late-night phone calls typically involve dream destinations and end with airplane bookings. They meet, enjoy each others’ company, and share the exploration of a new place. 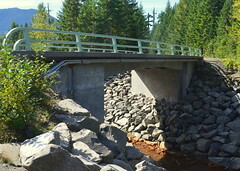 Or in the case of Mt Rainier, a beautiful place revisited. 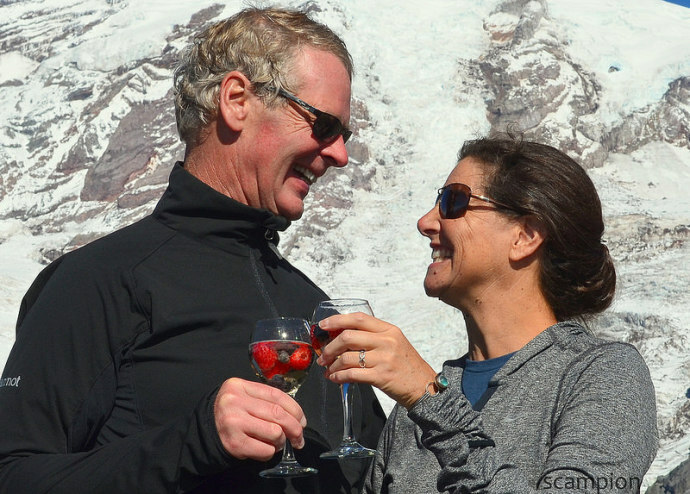 So what were they celebrating with champagne at 7,000 feet? They are fortunate to have health and the means to travel. If you ask me, they were celebrating life. And each other. And by the looks of them, “life” and “each other” may be the same thing.